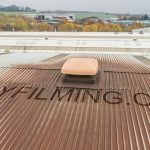 Using drones and camera poles to inspect and survey factory and commercial roofing is probably in our top 5 most undertaken work, and for obvious reasons. It’s very easy to use a drone to photograph and video every inch of a roof and guttering, plus all the details such as chimneys and top hats, flues and flashing, especially when compared to climbing up there with a camera and hiring scaffolding or cherry pickers, which are far more expensive and take a lot longer to setup. It may take days to survey a single roof, and weeks to inspect and entire factory or collection of industrial units the old fashioned way, where we can capture hi resolution aerial images of a single large industrial unit in half an hour, which includes enough data to supply a complete map of the entire roof area, and even a 3D model if needed. 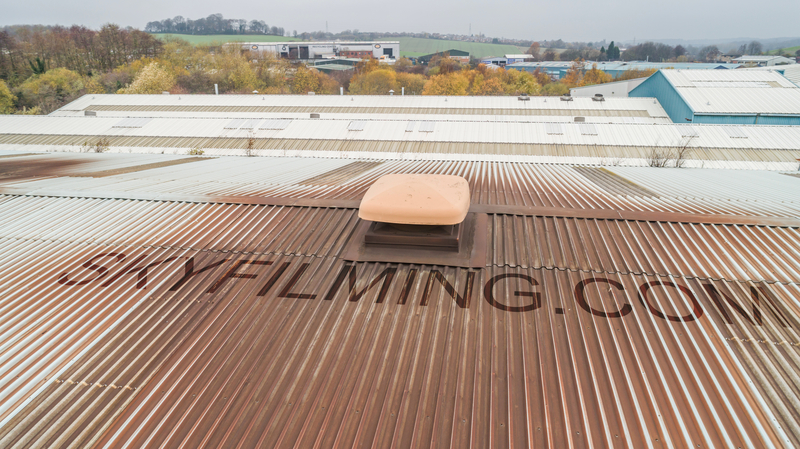 This particular factory, a foundry in Rotherham, South Yorkshire, needed a second drone roof inspection to follow up on one we did two years ago so they could compare the state of the metalwork, vents and gutters between these two periods. This time we also went inside with a telescopic camera pole and a special 360 camera to get interior shots to go in the report the client was compiling on the overall state of the roof and structure.